In prison but clearly in bloom. 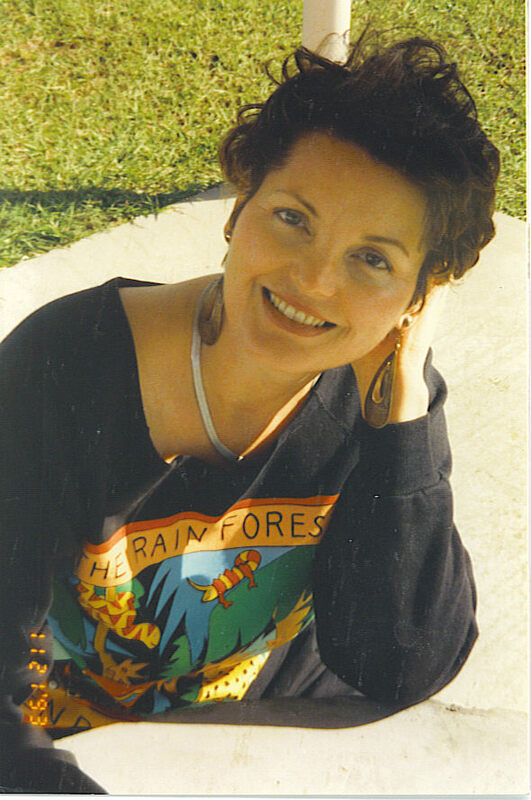 Marilyn Buck at Dublin FCI, 1994. Photo by Mariann G. Wizard / The Rag Blog. For her acts of selfless courage on behalf of victims of American criminal behavior, Marilyn has spent 25 years as a political prisoner of the United States government. 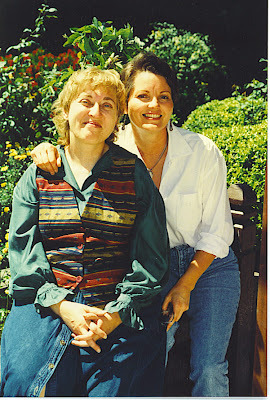 AUSTIN, Texas -- Marilyn Buck and I have been friends since 1966, a world or so ago. For the two and a half decades that her life has been narrowly circumscribed by a prison cell, our friendship has remained strong through all too few visits, many letters, phone calls, books shared, other friends met, and poems critiqued. But before that, there were her fabulous boots, working together on The Rag (Austin's pioneering underground paper), Students for a Democratic Society, my husband George Vizard, our well-meant matchmaking, George's death, GI organizing, hippie dancing, every visit I ever made to San Francisco, and unconditional love. For all its state-imposed limits, Marilyn is one of my closest and dearest friends, one of those, for me, of whom The Who sang, "You can count 'em on your one hand." I mention this only to let you know up front that mine is not an unbiased report. And there are hundreds of people around the world who love her as much as I do. She has earned every bit of our affection. Marilyn Buck dared to dream of a world without racism, without American imperialism. More important, for those who dream this dream today, she dared to act. She dared to try to make this dream a reality. 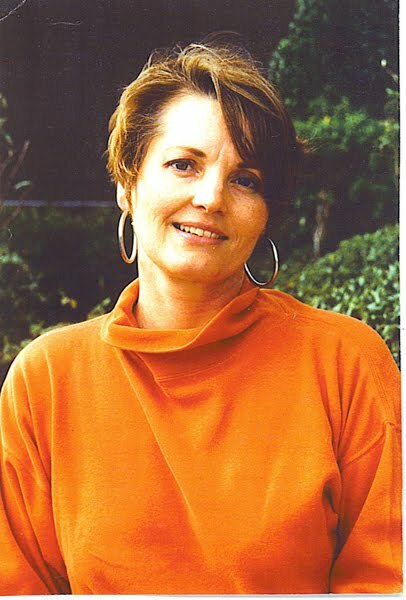 For her acts of selfless courage on behalf of victims of American criminal behavior, Marilyn has spent 25 years as a political prisoner of the United States government. A year ago, it looked as if Marilyn’s long exile from the free world was coming to an end. 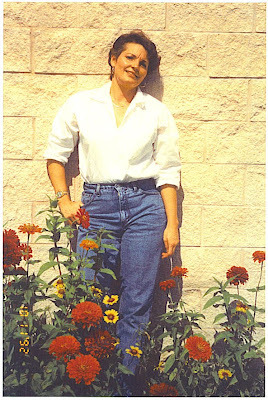 After uncounted rejections, a new hearing brought a positive decision: she would be released on parole in August 2010! Supporters in the Bay Area began to raise funds for her expected transition. Unconvinced that digital cameras are now as good as film, the gifted photographer talked about how she might find work in a darkroom. Although she’s tried hard to stay in touch with social and technological changes, it’s hard to do so behind the bricks and razor wire fence, with your legs in shackles any time you’re moved, restricted in every daily choice. But she was coming out. Nothing else mattered. Then, last December, right around her 62nd birthday, she was diagnosed with a rare form of uterine cancer, a sarcoma, dangerous as a rattlesnake, potentially lethal. Another friend sent me a clinical description of the disease, but I couldn’t bear to read it all the way through. Marilyn had symptoms for months before diagnostic tests were made, but not wanting any "fuss" over herself, not wanting to worry her friends, she kept her “health issues” vague and low-key with most people she spoke to or corresponded with, while she and her lawyer tried to get medical tests done. Marilyn had surgery in the Bay Area pretty quickly after the diagnosis was made and should have started chemotherapy six weeks later, when the surgical wounds had healed. But when she was finally admitted in mid-March to Carswell Federal Medical Center in Ft. Worth, where thousands of seriously ill federal prisoners are treated, the tests performed revealed new tumors and growths outside the original cancer site. Now at last, the chemo has started, and she is full of hope. She has so much pent-up energy, so many dreams, desires, abilities, concerns -- so much life to live! Her experiences in America's prisons have illuminated a hundred worthwhile projects and pressing needs to which she wants to contribute, as well as a whole new world of experiences that so far she has been denied. 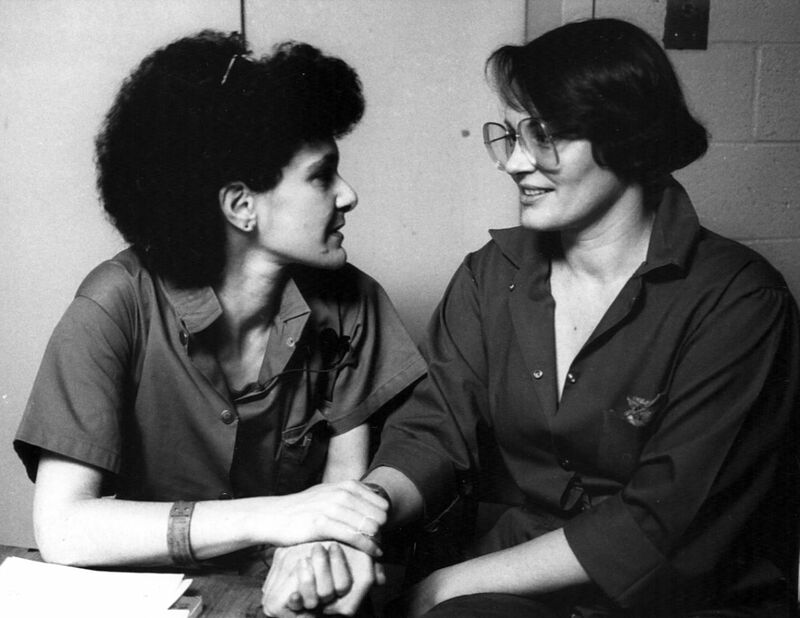 Marilyn Buck with "Resistance Conspiracy" codefendant Susan Rosenberg circa 1985. Marilyn was accused of sensational acts of insurrection -- including jail break, bombings, and a robbery attempt in which two police officers were shot and died. Many otherwise liberal-minded Americans are unable to get past the violence of the confrontations between the police and the small groups of Black and white revolutionaries with whom Buck was linked. Many committed leftists criticized the militants as foolhardy adventurists. Neither give due weight to the extraordinary repressive measures undertaken by the U.S. government to crush lawful dissent against unjust policies at home and abroad. Behind the shadow of COINTELPRO (the FBI's Counter Intelligence Program), law enforcement agencies operated outside the rule of law against Movement activists. To be an African-American dissident, especially, meant walking around with a “shoot-to-kill” sign pinned on your chest. Being Black or Brown or Red, or even white and "hippie-looking," was to face hatred and brutality (and possible death) day and night at the hands of racist white police and their allies in the U.S. Justice Department. Marilyn Buck saw her friends being hunted down like dogs on the streets of Oakland. It may be that the murder of her friend (and my husband) George Vizard, in the summer of 1967 in Austin, by person or persons then unknown, also led to her belief that right action lay in helping victims of oppression defend themselves, as the saying went, "by any means necessary." 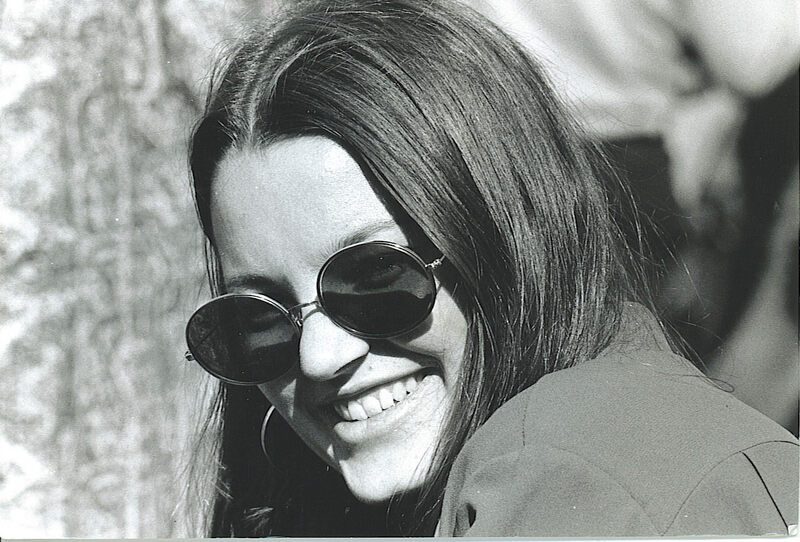 Marilyn Buck in 1971. Photo by Jeff Blankfort. Part of Marilyn’s story is told on a website, Friends of Marilyn Buck, created by friends and supporters. There is a lot more to her story of activism, self-sacrifice, and achievement. But it is her story to tell, and she's not yet able to tell it -- and, until she is free, perhaps not yet able to see it whole. Meanwhile, the simple facts, and a few errors (e.g., she was born in Temple, Texas, not Jasper, as Wikipedia reports), are scattered in bits and pieces through Wikipedia entries, New York Times archives, and websites or various organizations supporting the rights of political prisoners in the U.S. and abroad. After a 1973 arrest for buying two boxes of ammunition under a false name, Marilyn Buck was sentenced to 10 years in federal prison. It was a harsh sentence for the actual crime, but those were harsh times. It’s not unreasonable, given the circumstances, to suspect that the real accusation against Buck was that a middle-class, educated white woman had acted as quartermaster for the Black Liberation Army, an offshoot of the Black Panther Party. She was charged and convicted for the same reason that University of California professor Angela Davis had been arrested: she gave material support to Black people to defend themselves against white supremacist attacks and the racist police who allowed and, in some cases, even enabled them. After four years at Alderson (West Virginia) Federal Women's Prison -- and after being denied parole for, I think, the third time -- Marilyn was given a furlough to consult with her lawyers. She didn't come back. During the next few years Marilyn allegedly participated in the prison escape of BLA leader Assata Shakur, a bank robbery to assist the New Afrikan independence movement, and, with other militant activists, was involved in a concussion-bombing of the U.S. Capitol to protest the U.S. invasion of Grenada and the bombing of Lebanon by U.S. warships. When she was captured in 1985 and charged in what became known as the “Resistance Conspiracy case," she and three women co-defendants took a plea to secure the release of a male co-defendant, a physician whose non-Hodgkin’s lymphoma had recurred in prison. Marilyn received a total sentence of 80 years. As a prisoner, Marilyn has always embodied the old-school principle, "Don't mourn, organize!" Ever since her first arrest, she has steadfastly resisted diverting "movement resources" to her defense or benefit. In her interactions, she directs attention away from her personal inconveniences as a high-security prisoner (she is considered a "terrorist" by the government) to social and political issues -- or at least to the personal lives of her friends and correspondents with whom she unfailingly empathizes, even when pointing out occasionally that I’m being whiny. Her character is like the finest steel: it resists corrosion, shakes off the grime of daily use, and shines forth. Her level-headedness alone is enough to make her a valued friend! Despite her selflessness, an active support group has grown up with members all over the world. It is centered in San Francisco, across the bay from Dublin Federal Correctional Center where Marilyn was sent after human-rights lawsuits forced the closure of a brand-new “supermax” prison in Marianna, Florida, where she began her second incarceration. She has been upheld throughout her captivity by a multicultural, multi-gendered group of working class supporters, poets, former prisoners, prison reform activists and others, enabled to buy postage stamps, prepaid phone minutes, paper and pens, and kept in books and periodicals (she's a daily reader of the New York Times). During those years, Marilyn became an accomplished, highly acclaimed poet and translator, the result, she says, of being “a censored person. In defiance, I turned to poetry, an art of speaking sparely, but flagrantly.” Marilyn’s poems can be found in many collections, in her chapbook, Rescue the Word, and on her CD Wild Poppies. She was awarded the P.E.N. American Center poetry award in 2001. Marilyn has developed a significant artistic talent as a sculptor; organized prisoners to raise funds for AIDS education through a pledge walk-a-thon; and taught untold hundreds of other women how to read, how to think things through, and how to survive and even transcend their prison sentences. She has mentored and inspired scores of poets inside and outside the walls. All along, her principled conduct has brought many new friends and supporters along with the old. She had a steady stream of visitors at Dublin FCI, including Sixties radical icons and the now-grown children of friends and former neighbors. She corresponds with poets and artists around the world. Thirty or more poets participated in making Wild Poppies, including South Africa's liberation laureate Dennis Brutus and Amiri Baraka (formerly known as LeRoi Jones), who introduces the compilation. 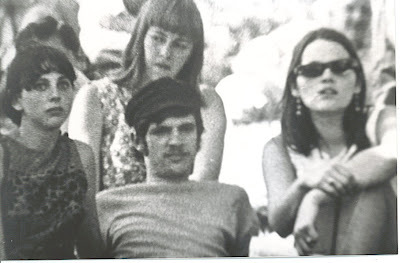 1966 UT-Austin police surveillance photo from anti-war rally. From left, Liz Jacobsen (Liz Helenchild), Terry Dyke, and Marilyn Buck. Both of Marilyn’s parents passed away during her incarceration, and she could neither see them before their deaths nor attend their funeral services. There have been other serious personal hardships, but that was, I think, the most difficult for her to bear. Even the shock of the 9-11 terrorist attacks in 2001, when Marilyn -- along with scores of other prisoners in many facilities around the country, completely uninvolved in the attacks -- was suddenly removed from her cell and placed in solitary confinement, without access to her attorneys for many days, didn't really compare with not being able to properly mourn her parents. Marilyn's Episcopal minister father, Louis Buck, was a noted Austin civil rights activist when I first got involved in that cause as a college freshman in 1965. I heard about Dr. Buck, and met him once or twice, before I ever met his daughter. Marilyn had an upper-middle-class private school education, but crosses had been burned on the family lawn north of the University of Texas campus. When her father's denomination defrocked him because he started an integrated congregation that still exists today, Austin’s St. James Episcopal, he became a veterinarian to support his family. Early on, Marilyn saw that racism was wrong, that she needed to oppose it, and that those with the political power to make changes could not be counted upon to do the right thing. Ironically, her dad sent her to college at the University of California at Berkeley to keep her away from the crazy radicals (SDS and others) at UT Austin. Smart as a whip and curious about everything, the innocent young lady who went to "Berzerkly" soon discovered psychedelics, rock music, and "high” society. Despite the protection the elder Bucks attempted to provide their daughter, there was no hiding place for anyone with a minimal curiosity about national and world affairs on the college campuses of 1965-66. When she returned to Austin the following summer, she and I, and George, became fast friends. We were fascinated with her West Coast sophistication; she with our close-knit and eclectic community of activists, artists, musicians, and dopers. It was in Austin that she joined Students for a Democratic Society (SDS), worked on The Rag, and met a national SDS organizer on his way out of town. She went with him. In Chicago, she worked in the SDS National Office and edited New Left Notes, the group's national news organ, then returned alone to the Bay Area, with a sharply honed and newly militant outlook on the state of the world and what needed to be done to change it. There she worked with Third World Newsreel; this was back when video cameras weighed 30-plus pounds and needed two people to operate, running in tandem through the tear gas-choked streets, taping demonstrations as the San Francisco TAC Squad closed in! It wasn’t long before she met and became friends with members of Bay Area Black liberation groups. Nor was it long before she emerged as a target of special interest in FBI COINTELPRO operations against the Black Panthers and other anti-imperialist organizations. 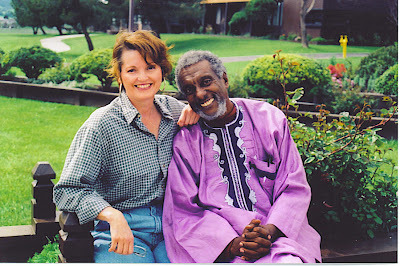 Marilyn Buck with Kwame Ture (formerly Stokely Carmichael) at Dublin FCI, 1994. So why, now, with parole already scheduled and her serious illness, is she still imprisoned at all? She's been incarcerated longer than most other political prisoners of the Sixties. Former Chicago Black Panther, working class artist, and Houston's "Mayor of da 5th Ward" Robert al-Walee says, "If Marilyn was a Black woman, she would be free by now; there would have been a public outcry for her release." Lee compares Buck to famed abolitionist leader John Brown, demonized in the American historical record. Whites who stand steadfastly against racism and discrimination become "race traitors," and the label of "terrorist" -- by which Brown was also known -- drives away liberal support. When I think of Marilyn as a preacher's daughter, I think of her as someone who wrestled with the moral problems of our times and who was not afraid to take principled positions around those issues. Marilyn's self-directed commitment shows her evolution towards the ideal of the revolutionary 'New Wo/Man' of whom George Jackson spoke. This is what enables her to weather the storms of life. She has given so much and has asked for nothing. She has kept the faith and continues to fight the good fight. She will always have my love and respect. Kathleen Cleaver, professor of law at both Yale and Emory Universities and a veteran of both the Black Panther Party and the Student Nonviolent Coordinating Committee (SNCC), states that "Marilyn has always been stalwart and devoted in her dedication to the liberation of Black and all oppressed peoples. Unlike some, she never withdrew from that struggle." 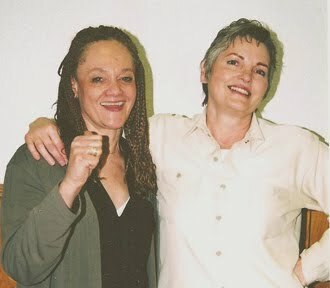 Marilyn Buck with Kathleen Cleaver at Dublin FCI cica 2007. Marilyn Buck is a truly courageous woman who sacrificed her liberty in the struggle for the liberation of all of America's oppressed. She has paid a great price for her crimes against capitalist exploitation and ought to be released from prison now so she can fight her cancer in freedom instead of incarceration! Marilyn's support has always been strong in the Black community and among "minorities" in general. But some of us, her white sisters and brothers, may have let her slip from mindfulness. She dared to support with deeds what we only said we supported: the right of oppressed people to defend themselves. Her experience underground, after her 1977 escape from prison, is of special relevance today. Marilyn has had a long time to meditate upon the mutually reinforcing beliefs, held then by some, that armed revolution was imminent and that the duty of the revolutionary was to make a revolution. Reading her letters, poems, and essays over all these years, I've seen her extraordinary evolution, witnessed the maturation of an articulate, responsible, disciplined, ethical mind. The artist creates the concept and framework for a different cultural paradigm. Political speeches, leaflets, and pamphlets that exhort and condemn the old oppressive order rarely do that. Without the imagination, there is little daring to confront the old. We need her out here in the world; need her insight, her experience, and her creative imagination. I can’t wait to hear her speak freely. James Retherford and Sarito Carol Neiman contributed to this article. Marilyn Buck in her trademark boots, at offices of the San Francisco Express-Times, 1968. Photo by Jeff Blankfort. There will be a “Free Marilyn Now!” benefit in Austin on Friday, June 25, from 7 – 11 p.m., at 3105 E. Cesar Chavez Street, with a suggested donation of $10 at the door, and all proceeds from food, refreshments, an art sale, and other events going to Marilyn’s freedom fund. Bands are still being confirmed at this time, but a diverse lineup is planned, along with healing meditation exercises and special guests. Marilyn will need medical monitoring and care while she convalesces, and for a good while to come, and her plans for working right away will need to be put on hold. She needs some good nutrition, too, after 25 years of prison chow, and for crying out loud, this woman is going to need some good new boots! Sponsors are quickly coming on board for the event, but include The Rag Blog, NOKOA News, Resistencia Bookstore/Red Salmon Arts, OneLove Kitchen, Ex-pinta Support Alliance (ESA), Texas Jail Project, Austin Cab, and Youth Emergency Service/Phogg Phoundation -- that I know of so far. Save the date and start saving your pennies! Have something cool to donate? Willing to volunteer? Watch The Rag Blog for more details! M. Buck, Poet. Photo taken at Dublin FCI, 1998.